♦ You can level all professions at the same time, no choice binds you. 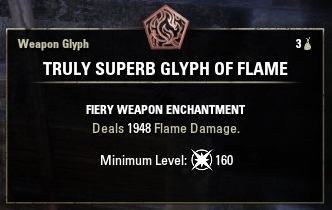 + Jewelcrafting unlocked with summerset expansion. 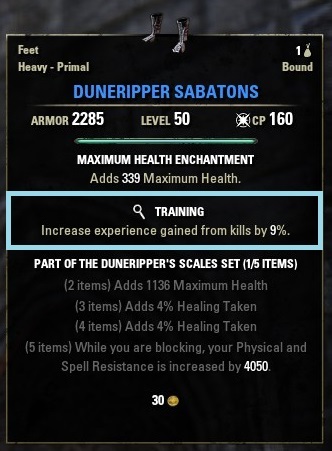 ♦ Each profession is leveled until level 50. ♦ Each profession has passives to unlock with skill points (skyshards+in game activities). ♦ Deconstructing & creating items. ♦ Deconstructing an item crafted by another player gives more experience than deconstructing your own crafted item. N.B. : Best way is to send eachother items & deconstruct them. 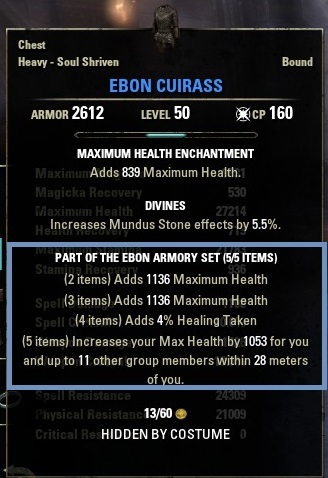 ♦ Some items looted will give 200% more deconstruction experience ! ♦ Similar to Skyrim system except that you add a solvent to the ingredients. Depending on the solvent, you'll get a potion or a poison. ♦ You need to experiment combinations of ingredients, just like in Skyrim, sometimes it might work or might not. Effects must be compatible for them to create a valid potion or poison. ♦ Each ingredient has 4 effects that has to be discovered. ►Click on the "Spoiler" for a big screenshot ! ♦ Icon for a forge in town (Usually has clothing & blacksmithing but there can be a woodworking station sometimes as well). ♦ Cloth & leather armor. ♦ Enchanting stones are crafted & then you apply it on your weapon/armor. 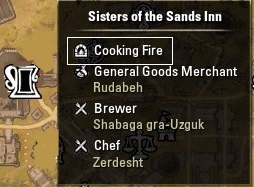 ♦ Based on learning recipes (drop from ennemies, treasure chests & furnitures in houses). N.B. : Can be stolen &pickpocketed ! ♦ Staves, bows & furnitures for houses. ♦ Gear with set effect will be dropped from ennemies & chests. But some sets are only craftable in specific areas. ♦ Scattered around the world, you can encounter abandoned crafting tables giving special set effects. ♦ Recommended to use "destinations" mod for finding those stations. ♦ Valid for blacksmithing, clothing & woodworking. 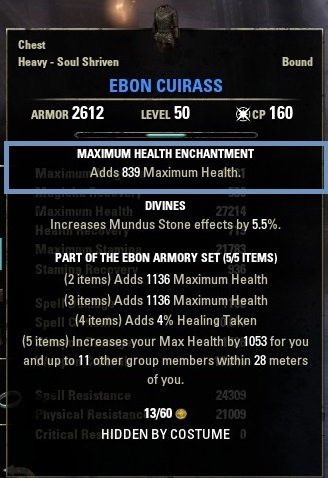 ♦ A trait is a secondary enchantment added to your armor & weapon.